but is it the right career move for you? However, before you plunge into your bank account and invest in training, we feel it makes good sense for you to join us on a taster session. Here you can experience real life driving lessons and what it is truly like to become a driving instructor. Taking specialist training in order to become a driving instructor has immediate benefits, without a doubt you are going to develop your own individual driving abilities but is being a driving instructor the most appropriate thing for you to do. A great deal of people train to become a driving instructor but many do not finish the training, so right now we are going to take a look at the essential questions you will need to take into consideration. Lots of people have a look at becoming a driving instructor because they like to drive, and while understanding the simple fact you are going to spend a lot of time in the car is a beneficial thing, it is perhaps not quite befitting to say you will be doing a lot of driving. Certainly you will be driving in between lessons, going from one client to the following, but unless the customer is an absolute novice, 90% of the time it is the learner driver that will be actually taking on the driving. In terms of talents you may have, or factors you could possibly enjoy, perhaps dealing with people, training, education, together with patience are the sort of virtues that could possibly go towards characterising a driving instructor. It is additionally valuable to mention that a driving instructor is also a self employed person taking care of their own small business. Only very rarely will you come across somebody that is employed. When you become a driving instructor there are two options you will be able to take with regards to finding customers, you can team up with what is called a driving school franchise, or perhaps you can end up being an independent driving school. By having a franchise you would commonly pay out a weekly service charge and as part of the support service they should supply you with students. Assuming that you end up being independent at that point it is your business and marketing is your responsibility. If you decided to sign up to a driving school franchise terms and conditions change from school to school and you would undoubtedly have to go over the conditions really thoroughly. As a general rule, countrywide schools usually ask for longer term commitments for instance 6 to 10 months and local area driving schools tend to operate month to month. The driving tuition car you put to use will possibly be bought out right, leased from a nearby car dealership or rented out from a special leasing service company for driving instructors. They are going to usually install the cars with dual controls and at your request help lay on the livery. A benefit of using an industry based leasing company is that commonly they are going to offer a quick vehicle replacement service in case your car becomes undriveable for any specific cause. It is important to remember there are 2 totals to call attention to, gross profit and net profit. Both are actually quite different and just what you are going to earn will certainly depend upon what you charge, the expenses incurred and the amount of hours a week you are going to work in relations to providing actual lessons. Please remember that as soon as you have left your home and the instant you return, everything between could be identified as your job. Giving a driving lesson is work, driving to your following customer is work. You could be out of your house for 12 hours, but only have 8 paid hours. By having a work schedule of 35 hours a week as well as a lesson fee around ₤ 30 an hour, there actually is no reason that a driving instructor cannot take home ₤ 600 a week. Of course there are actually two kinds of cost to keep in mind, fixed costs and variable costs. Fixed costs consist of details like the car, insurance and a franchise fee. Regardless of how many hours you work these kinds of expenses will have to be coped with, due to this fact the more hours worked the cheaper the expense ends up being per hour. There is also the variable expenses, the biggest being fuel and the more you work, the bigger the fee. In the event that you wish to have the capacity to do the job Monday to Friday from 9am to 5pm that is doable but it is not easy. All driving instructors work a wide range of hours with the exception regarding night time lessons, such as a night shift. Local residents do not like people learning to drive outside their house at 3am. 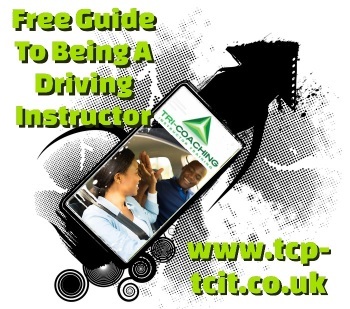 Generally most driving instructors are going to work 6 days out of 7, this really depends upon how you have the capacity to market your business, control your clients and have the skill to maybe illustrate to a client that a driving lesson on Tuesday morning with you is more advantageous on another time they would favor which would be readily available from another driving school. This absolutely depends on you and your planning. Some individuals could take as long as 2 years to become a driving instructor, and that is a long time. Having said that in the event that you plan your training program effectively and successfully pass your 3 tests at the first time of asking you can be a driving instructor inside four to six months. Supposing that you enjoy the commercial world and doing work in a team maybe this is not the type of work for you, that being said if you have belief in yourself, do not need to rely upon others and take pleasure in being your own boss then it could be perfect. It’s possible that the biggest disadvantage to being a driving instructor are the cancellations, however with good terms and conditions presented to your clients you can nullify the vast majority of people letting you down. The upsides of becoming a driving instructor are vast but probably the most important gain is having the capacity to work as and when you choose. The cost to becoming a driving instructor will depend on how you arrange your training course, people aiming to become a driving instructor very cheaply will often fail, with respect you have got to expect to be capable to finance your training program. In the event that you hope for free training or a very minimal financial outlay with expect poorer results. Having said that if you are serious the best thing to do is to schedule in regular training and the benefits are clear. To start with you enhance your chances of passing, secondly answers to questions are solved quickly, ideal practices are integrated and that can all lead to requiring a smaller amount of training classes overall. For example you will learn and maintain more information with a weekly lesson instead of a lesson every month. Typically most people will spend approximately ₤ 2500, which could possibly rise to as much as ₤ 4000 if the improper technique is adopted. The best approach to save money on becoming a driving instructor is by taking regular training and planning your progress thoroughly. A few driving instructors will have irregular instruction and without a plan to work to, such as anything in life if you wish to accomplish something you need regular training and support, the advantage being you will eventually pay less to realise your goals. For driving instructor training in Leeds and the wider area please give us a call today.